Structural integrity is something we do not take lightly. In order to achieve safety and performance standards, you need strong and reliable lintels for construction. TITAN Industries, Inc. is dedicated to providing quality materials at affordable prices to our commercial clients. As the go-to steel fabricator for large organizations in Illinois, we understand your expectations and requirements you expect from steel lintels. If you would like a price estimate or to discuss your custom needs, contact our office at (309) 440-1010 today! What length do you require? What is the weight that will be supported? What is the inner/outer leaves and cavity wall ratio? What is the wall construction? Depending on the answers to those questions, we will be able to recommend the correct lintel to meet your needs. 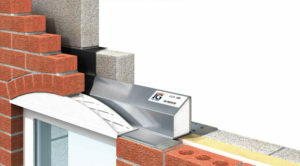 From cavity walls, external solid walls, and internal walls, we have the lintel you need. If you have specific questions about the particular steel lintels you will require, call (309) 440-1010 today! For years, TITAN Industries, Inc. has manufactured and fabricated high-quality steel lintels that are solid, corrosion resistant, and guaranteed to last. Our professionals have an unmatched understanding of the construction business that will be able to match you with the most cost-effective and durable steel products made right here at TITAN. If you have any questions, please don’t hesitate to call us and let us know how we can serve your company. When you are looking for steel lintels in Illinois, Contact the experts at TITAN Industries, Inc. Call (309) 440-1010 for pricing and additional information.